Unfortunately, it does not look like they have learned anything from the Compton line uproar. 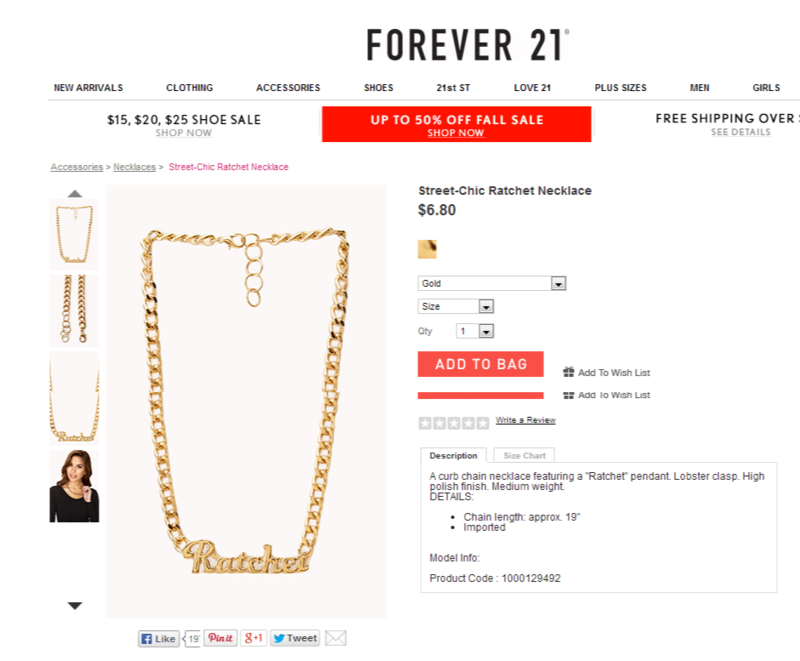 Once again, Forever 21 is giving us the opportunity to take a piece of “ratchet” culture – all for the low price of $6.80! But wait! 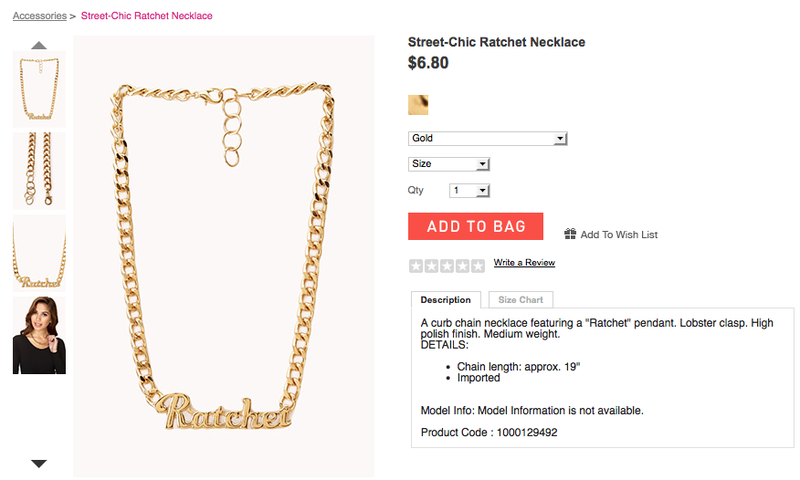 Instead of modeling its racist product with thin white women, like it did last year, the company opted for an ethnically ambiguous woman to adorn the gold “ratchet,” as though all non-white communities are interchangeable. If a dominant culture fancies some random element (a mode of dress, a manner of speaking, a style of music) of my culture interesting or exotic, but otherwise disdains my being and seeks to marginalize me, it is surely an insult. And to add insult to injury, this makes me think: who is profiting from all of this? Definitely not the people who are being hurt by the racist ratchet stereotype. 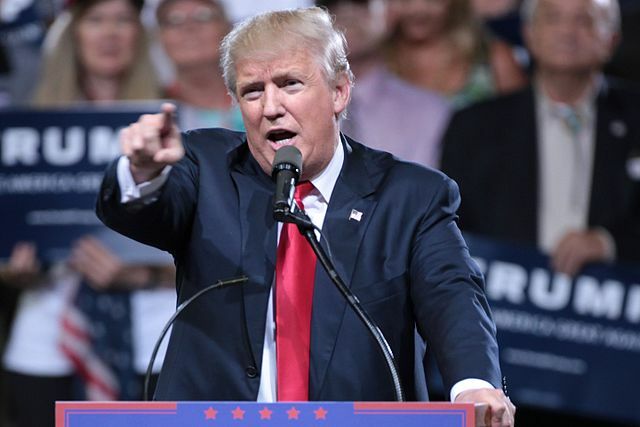 A recent report from The Atlantic reveals that the workforce is pretty damn racist with Black people constantly having the lowest rate of employment. The recession and housing bubble bust decimated Black American wealth. The median wealth for single black women adds up to a whopping $5. At the end of the day it comes down to this. It’s frustrating (to say the least) to have parts of Black culture used to put down Black Americans and justify racism while they’re also used to line the pockets of rich, non-Black CEOs and other higher-ups in the company. Wagatwe is guest contributor at Feministing. She was once deemed an “exceptionally articulate African-American student” by an Obama administration member.